BUTUAN CITY, Jan. 21 (PIA) - A senior official of the army in Caraga region may soon vacate his post as the regional army commander here to assume a higher post at their national headquarters in Camp Emillio Aguinaldo. 401st Brigade Commander BGen. Gregory M. Cayetano, announced during the Monday Flag-raising rites that he may soon be leaving his post after serving as the chief of his brigade for one year and 11 months. He assumed his post as the top official of the said brigade last February 28, 2013. Cayetano said he will be assuming a post at the G-8, (at the Assistant Chief of Staff in the Army for Education and Training). “Hopefully, I can contribute something to the said office,” Cayetano said. The senior army official also disclosed that he will be replaced by Col. Alexander Macario, whom he described as “my teammate who is equally efficient and effective officer. I believe he can do more and (even) improve the systems upon his assumption,” according to Cayetano. The general was the guest of honor and speaker during the Monday flag-raising rites. He was welcomed by acting Caraga PNP Director CSupt. David Y. Ombao and other regional senior police officials, and was afforded an arrival honors upon his arrival at Camp Rafael C. Rodriguez. During his message, Cayetano cited the various joint and cooperative peace and security efforts between the AFP and the PNP which he described as “at its best in this particular time.” He also cited the police provincial and field officials whom he and his brigade had worked with in implementing the various projects, programs and thrusts of the national government, particularly in the provinces of Agusan del Sur and Surigao del Sur. He made mention of the successful joint AFP and PNP project of the community organizing for peace and development (COPD) in the municipalities of Loreto, Veruela and San Luis in the province of Agusan del Sur which he said to have “strengthened the bond between the police, the military and the community sending a positive signal to the people even to those who are in the grassroots level,” according to Cayetano. 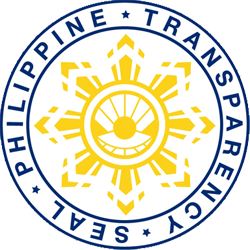 He also cited other military-PNP successful joint ventures such as the “Joint Plan Halalan” in 2013 which had contributed greatly to the success and peacefulness of the said electoral exercise, the “Plan Alalay Kalakal,” the “Movement and Visit Protocol,” the “Common Network Open Line Protocol 24/7,” the assistance from the PNP Special and Legal Teams, the PNP SOCO, the Joint Peace and Security Coordinating Councils, to mention some according to him. MANILA, Jan. 21 (PIA) - In the Philippines, undernutrition is persistent among infants and young children. There is also an emerging prevalence of obesity or overnutrition among adolescents and adults. This co- existence of under-and overnutrition is referred to as the double burden malnutrition. Moreover, the Philippines is among the countries with the highest incidence of non-communicable diet-related diseases like diabetes and cardiovascular diseases. Diabetes is characterized by increased in blood sugar level. Studies have shown that a diet with low glycemic index food may improve diabetes control, reduce cardiovascular risk factors and reduce body weight. Foods low in glycemic index will not raise blood sugar level abruptly. Related to this, the FNRI has developed three functional food products called monggo frozen yogurt, instant mashed sweet potato premix and brown rice puto premix. Locally- grown crops such as monggo beans, sweet potato and brown rice were utilized to develop the said products. All products were found acceptable and microbiologically safe based on the Philippine’s Food and Drug Administration (FDA). Instant mashed sweet potato premix is high in dietary fiber and low in fat, while brown rice puto premix is also high in dietary fiber. Both food products are ideal for weight watchers. Interested entrepreneurs can avail of FNRI technology business incubator (TBI) program for the technology transfer and commercialization. BUTUAN CITY, Jan. 21 (PIA) – The Department of Education (DepEd) through memorandum no. 2, series of 2015 dated January 13, 2015, has created a technical working group (TWG) on the assessment of the K to 12 Program to formulate and adopt policies on implementing and institutionalizing an assessment system for the government’s flagship education program for education. The national TWG is composed of chairperson, second to the chairperson, and members. They are responsible in formulating an assessment framework for assessing quality performance in the system, national, teacher and classroom levels; and establishing quality standards/protocols on assessment instruments development and administration, data processing, communication and utilization of assessment data. Also, the TWG is responsible for formulating and adopting policy guidelines on implementing and institutionalizing a national assessment system for the K to 12 Program to promote quality assurance in education; designing the capability building program required for the roll out of the K to 12 assessment system; and formulating mechanisms on utilization of assessment data to inform decision making at different levels of education governance. BUTUAN CITY, Jan. 21 (PIA) - Tropical Storm Seniang hit Caraga region before the end of 2014. The low depression turned tropical storm unleashed torrents of rainfall that led to landslides and severe flooding in the region. The Department of Agriculture (DA) immediately activated its Monitoring Team to assess the damaged it brought. As of January 16, 2015 estimated damages in agriculture in Caraga has reached ₱32,043,933 for cereals (rice & corn), ₱3,468,700 for other crops and ₱3,468,700 for livestock. Validation of the rest of the LGU reports is still ongoing ensuring that agricultural damages would be properly accounted for. Buffer stock is DA’s supply of inputs held as a reserve to safeguard against unforeseen calamities, shortages or demands. A total of 3,047 bags of certified seeds will be initially given in the identified areas of the region- 1,645 bags will be distributed to Agusan del Sur, 1,200 bags for Surigao del Sur, 250 bags allocated for Agusan del Norte, 750 bags for Butuan City and 20 bags for Taganaan, Surigao del Norte. For the poultry sector, 80 heads of ducklings are now ready for distribution to the municipality of Tago, Surigao del Sur. 200 heads of kabir chickens will also be distributed to Barobo, Marihatag and Tago, Surigao del Sur. In addition, 45 kilos of assorted vegetable seeds will be given to Butuan City, municipality of Nasipit, Agusan del Norte and the municipalities of Barobo and Tagbina, Surigao del Sur. Ten bags of Corn OPV (Var.6) is also allocated to province of Agusan del Sur in which Bayugan City is one of its priorities. TANDAG CITY, Surigao del Sur, Jan. 21 (PIA) – Monib Dimakuta, revenue district officer (RDO) of the Revenue District Office 106 (RDO 106) of the Bureau of Internal Revenue (BIR) in Surigao del Sur expressed confidence on having a much better performance for 2015. Beforehand, he admitted that 2014 was quite a struggle, citing a -8.09 percent deficit or equivalent to P60,360,054.55, when, supposedly, his office could have at least hit the target of P745,763,000 but came up short with only P685,402,945.45. However, the BIR chief pointed out, they still managed to surpass the 2013 tax goal of P609,671,948.75 by posting a 12.42 percent increase or equivalent to P75,730,996.70 as shown in the cumulative comparative collection for the period from January-December 2014. Also, Dumakuta claimed depressing their collection towards the end of the year, particularly in December 2014, where a deficit of -10.08 percent or equivalent to P6,064,541.26 was registered. During the said month, the BIR here was tasked to collect P60,165,000—but only yielded P54,100,458.74. SURIGAO CITY, Surigao del Norte, Jan. 21 (PIA) - A joint regional monitoring team of the Department of Interior and Local Government (DILG) and Department of Trade and Industry (DTI) on Business Permit and Licensing System (BPLS) implementation recently visited Surigao City and Claver in Surigao del Norte for the on-going Business-One-Stop Shop (BOSS). The team is composed of DTI-Caraga Senior Trade and Industry Development Specialist Marson Jan Dolendo and DILG-Caraga Local Government Operations Officer II Luth Apresto. During the visit, the team looked into the business permit registration process flow, quality and efficiency of service delivery of concerned offices of the local government units. In Surigao City, the team was able to discuss with Business Permit and Licensing Officer Ernesto P. Kang on some possible areas for improvement to further shorten the processing time like upgrading the computer system to fully automate all the processes and computation of fees involved in business permit application, among others to simplify the procedures. Aside from the improvement of the processing, the team also suggested to BPLO to adopt the standards and mechanism prescribed in the DILG-DTI memo circular. It was learned during the visit that Surigao City significantly increased its revenue collection on business permits fees and taxes since BPLS adaption and streamlining in 2011. While in Claver, the team was able to have an audience with Claver municipal mayor Eddie P. Gokiangkee and explained to him the purpose of the visit. Mayor Gokiangkee revealed that the local government of Claver had a plan to establish a fully operational information system including the computerization of all functional offices once their new municipal hall building will be finished which at present is under construction. The team explained to mayor Gokiangkee that actually the next level of BPLS streamlining is full automation through e-BPLS like what is being done in Quezon City and Cagayan de Oro City. BUTUAN CITY, Jan. 21 (PIA) - Technical Vocational (Tech-Voc) trainers in Caraga Region have underwent skills upgrading today at Butuan Doctors’ College here. According to Marivel Padino of TESDA-Agusan del Norte Provincial Office, the conduct of the activity is in preparation for the assessment of Bartending NC II and Barista NC II on Wednesday, January 21, 2015. Padino added this will serve as a re-orientation of the new promulgated training regulation of the said qualifications in order for the participants who are tech-voc trainers from the different Technical Vocational Institutions (TVIs) in Caraga Region to enhance their skills, be updated and be prepared for the national assessment, thus, giving them the chance to pass. The official also stressed the identified regional lead assessor of Caraga Region was requested to re-echo the training she had attended in Manila. “This is to give updates to the trainers who will undergo assessment tomorrow,” Padino said. Padino also said the training was made possible through the initiative of the Assessors Guild of Agusan del Norte in coordination with TESDA-Agusan del Norte Provincial Office. Members of the Guild have decided to push-through the skills upgrading for them to have better chances of passing the assessment since there are already amended competency assessment tool, Padino added. She likewise said the invited regional lead assessor will just share to the participants the updates of the upgraded competency assessment tool which she has experienced and taken during her training in Manila. For the Bartending, seven trainers have participated while there are 10 in Barista. Meanwhile, Liza B. Budtan, TESDA-Caraga Regional Operations Division (ROD) Chief said the skills upgrading is also in response to the ASEAN Integration this year. “With the ASEAN Integration that is implemented this year, we cannot afford to be left behind by other countries in the international scope, and other regions in the national scope. Thus, there is a need for our trainers to be upgraded with the skills required in every qualifications,” Budtan added. In a related development, Josephine Pimentel of Holy Child Colleges here is thankful to the organizers of the event saying that this will help them to be more prepared during the assessment on Wednesday. Pimentel is also hoping that with this skills upgrading, a hundred percent passing rate will be achieved during the assessment. BUTUAN CITY, Enero 21 (PIA) - Napili ang lunsod ng Butuan bilang First Placer sa 2014 Best LGU Practices Against Professional Squatters and Squatting Syndicates. Ani ng NDAPSSS, nabatid ng NDAPSSS Inter Agency Committee na ang mga programa ng lokal na pamahalaan ng Butuan ay “effective, efficient and supportive” sa mandado ng Republic Act 7275 at Executive Order No 153 series of 2002 at kinikilala nito ang mga inisyatibo ng pamahalaang local ng Butuan laban sa mga professional squatters at mga squatting syndicates na isang best practice na dapat matularan ng iba pang mga lokal na pamahalaan ng bansa. 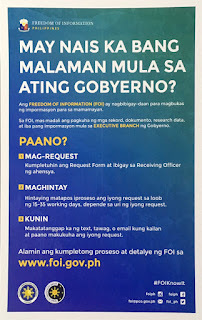 Dahil dito, inimbitahan ng NDAPASS si Mayor Amante at tatlo pang opisyal ng local na pamahalaan na tumanggap ng award sa awarding ceremony na isasagawa sa Enero 26 nitong taon sa Coconut Palace, CCP Complex, Roxas Blvd., Pasay City.